Joe joined the TAC in August 2008, bringing with him strong public policy and communications experience gained from a range of government, media and communication roles. He was appointed CEO of the TAC in July 2015, having previously been Head of Community Relations, responsible for road safety, marketing, communication, legislative and legal functions. Prior to joining the TAC, Joe was a Senior Advisor to the Victorian Minister for Police and in the challenging portfolios of transport, major projects, finance (including WorkSafe and TAC) and industrial relations. Born and raised in Geelong, Joe is committed to improving the region’s future as a member of the Committee for Geelong’s strategy and policy committee. He holds a Master of Commerce from the University of Melbourne and maintains a healthy interest in public policy and communication issues. Tony was appointed Chief Financial Officer in February 2012 after spending five years as the Chief Financial Officer with the Victorian Managed Insurance Authority. The VMIA is one of the three Victorian State Government insurance entities that provide risk management and insurance services to all government department and agencies. Prior to this, Tony spent more than a decade as financial controller for Australia’s largest private health insurer, Medibank Private. He currently heads a dedicated team of professionals who provide a wide range of support services for the TAC including capital management, financial services, procurement, business continuity planning, corporate legal, assurance and corporate secretariat, forensic analysis and investigations, risk and compliance services, project delivery, research, business intelligence and corporate oversight for information technology shared services. Jane started with the TAC in 2012 and was appointed to Head People and Culture in 2014. She is an experienced HR leader, change manager, organisational consultant, facilitator and coach. Prior to joining TAC, she worked across a range of industries and organisations including National Australia Bank, Bank of New Zealand, RMIT University, Mayne Health, Department of Human Services, Department of Sustainability and Environment and within local government. Jane brings strategic and operational experience working with large, complex global organisations, small business and the health, education and public service sectors. She has held senior management roles in cultural change, organisational and leadership development, change management, facilitation and executive coaching. Jane’s qualifications include: Master of Business Administration, Swinburne University, executive coaching qualification – level 1 and level 2, Prosci change management accreditation. Jane is an accredited facilitator in behaviour profiling and transformation facilitation, targeted selection and motivational interviewing. 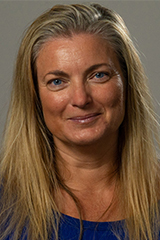 Amanda joined the TAC in 2008 as the Senior Communications and Media Adviser and quickly established a reputation as an authentic, decisive leader. In 2011 she was promoted to the position of Senior Manager of Corporate Affairs and in December 2015, was appointed Head of Community Relations. She has executive oversight of the Road Safety, Corporate Affairs, Government Relations, Legal and Service and Review teams. Prior to joining the TAC, Amanda was Director of Communications and Marketing at Barwon Health. During this time she completed the Leaders for Geelong program, providing a strong insight into leadership in the Geelong region. She also served as a Board member of the Disability Rights and Advocacy Service and has always been interested in how companies such as the TAC can deliver better client outcomes. Amanda is passionate about the Geelong region and the role the TAC plays as a major employer. She is a current member of the Committee for Geelong’s Leaders Sub-Committee and sits on IPAA's Communications Advisory Committee. Amanda has a Bachelor of Arts / Business (Marketing) from Monash University. 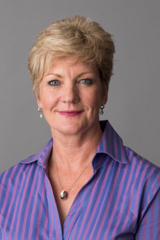 Liz joined the TAC in November 2016 as the Head of the Independence division, bringing considerable experience as a senior leader in disability insurance, particularly in transformational leadership. Liz spent many years working for New Zealand’s Accident Compensation Corporation, where she designed and implemented the National Serious Injury Service (NSIS). The program introduced specialist claims management for clients living with permanent and significant accident trauma impairments. As a result she was awarded the 2010 Personal Injury Education Foundation (PIEF) Award for 'Outstanding Contribution by an Individual.' Liz used the award to travel overseas for leading practice learning in spinal cord and brain injury rehabilitation. Prior to joining the TAC Liz worked with Price Waterhouse Coopers in the implementation of the National Disability Insurance Service (NDIS). She moved to Geelong in 2012 to join the NDIS trial site and in 2014 was made General Manager of Operations for the NDIA. Liz has an undergraduate degree in Social Work, a post graduate Diploma in Case Management and a Masters in Management (Personal Injury). She boasts extensive networks across disability, rehabilitation and social insurance sectors. Until recently, Liz was a Director of the Personal Injury Education Foundation and has recently become a Director of the TAC’s Residential Independence (RIPL) Board. Bruce boasts 30 years with the TAC including 20 in senior leadership roles, implementing strategies which have significantly improved outcomes for transport accident clients. He commenced as Head of Claims in 2013 and was appointed Head of Rapid Recovery in February 2016. In this role Bruce oversaw the service and support of approximately 30,000 claims for injured clients and leadership of approximately 230 staff. In February 2019 Bruce was appointed as Chief Strategy Officer. 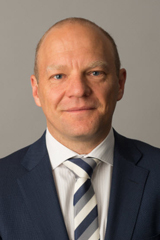 Bruce has also previously led various business units and has managed major projects involving organisation-wide culture change, service model transformation and long tail claims liability management. He holds a Master in Business Leadership from RMIT and is a graduate of Leadership Victoria's Williamson Community Leadership Program. Bruce is also a Director on the Boards of the Personal Injury Education Foundation and the Institute for Safety, Compensation and Recovery Research. Damian joined the TAC in 2007 and was appointed to his current role as Head of the Supported Recovery Division in November 2016. He has developed a track record for outstanding people leadership, working with partners and delivering for the TAC’s clients. Prior to joining the TAC Damian worked as a Senior Speech Pathologist across Australia and Ireland in health, education and disability roles and has an education background in health, arts and leadership. 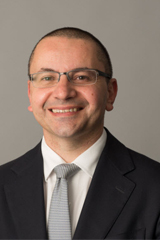 He has been a key contributor to the development of the TAC’s 2020 Strategy and is focussed on the reform needed to assist the TAC’s Supported Recovery clients and help create a world leading offering for the Victorian community. 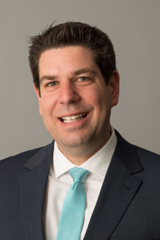 Damian has a Bachelor of Arts (History and Politics) from the University of Adelaide, a Bachelor of Speech Pathology from Flinders University and a Master of Business Administration (Management Specialisation) from Edith Cowan University. 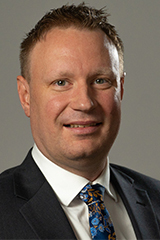 Ashley West was appointed as the Head of IT Shared Solutions in November 2015. 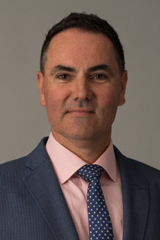 His team is responsible for the strategy and delivery of Information Technology services across the Transport Accident Commission and WorkSafe Victoria. 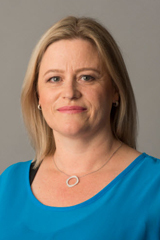 Ashley studied IT Systems Engineering and has held a number of key senior IT leadership and executive roles in a range of industries including Government, Finance, Education, Telecommunications and Aviation. Over a 20 year IT career, he has led large scale Strategy and Architecture, Operations and Development teams in delivering integrated solutions across a range of technologies. Ashley is passionate about connecting the value that can be delivered through technology to enabling key business outcomes. Nat was appointed to the Head of Rapid Recovery role in February 2019. With a passion for service excellence, human centered design and delivering meaningful outcomes for customers, Nat brings with her an established record in exceptional people leadership and business transformation. Nat holds a Bachelor of Commerce (Economics and Law) and is an accredited change practitioner and Executive Coach. Prior to joining the TAC she worked as a consultant supporting private and government organisations shape business functions, execute cultural change and deliver corporate outcomes. Since joining the TAC, Nat as held a number of key senior leadership roles across the functions of People & Culture, claims management and service renewal. Nat has expertise in service design, liability management, operational delivery and transformation strategies. As TAC's Head of Rapid Recovery, Nat leads a large team of dedicated employees responsible for the delivery of service and support to approximately 30,000 injured Victorians each year. Andrew joined the TAC in January 2018 and was appointed as the Chief Risk Officer in March 2019. He brings over 20 years of risk management, internal audit and strategic leadership experience from the private, public and not-for-profit sectors. He has held domestic and international management positions in the financial services, higher education and retail industries. Andrew promotes a strong balance of risk consideration with strategy development and execution to ensure confidence in the delivery of road safety initiatives and positive outcomes for TAC clients. 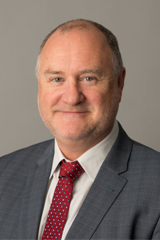 He has a passion for advocating the rights for people with a disability and their networks and has been active in the disability sector since the inception of the National Disability Insurance Scheme, including a number of years as President of Interchange, a national provider for disability and respite services. Andrew holds a Bachelor of Business (Finance) from Monash University and is a member of the Risk Management Institute of Australia.